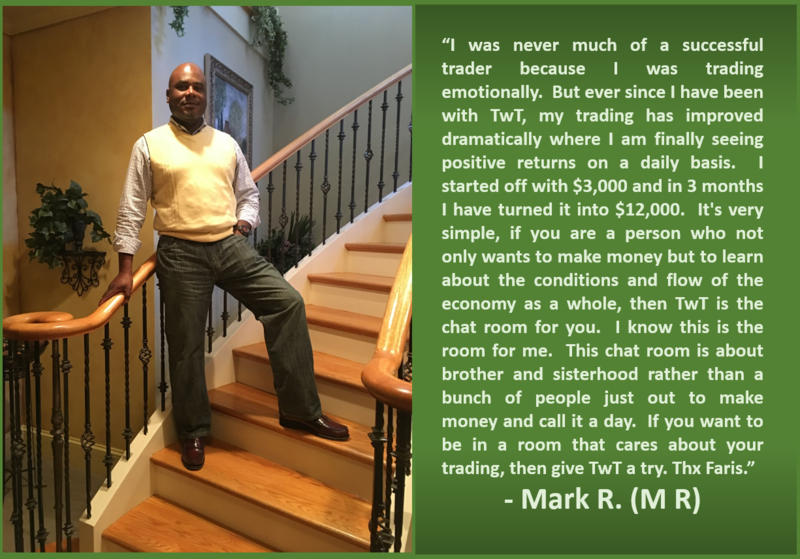 Learn strategies, explosive chart setups, and how build your wealth. 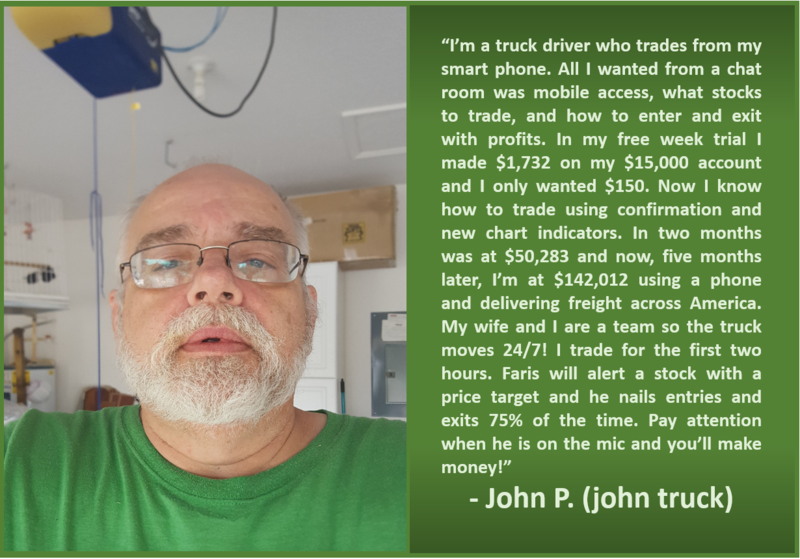 Our membership offers chat room access with screen sharing and audio capabilities, educational video library access, multiple daily trading game plans sent via email, scanners and our methods of analyzing charts. Subscribe to our free weekly newsletter that is sent out every Sunday! This includes a stock pick of the week, chart of the week, famous quotes, bullish/bearish scans, a market snapshot, and more! Our YouTube channel has plenty of free educational videos! These videos will help boost your level of knowledge and improve your chart analysis. What kind of securities do you trade? We trade anything that can provide high returns. This includes stocks of all market caps, stock options, futures, and even Forex every once in awhile! Each trader is different and many alert stocks. Faris primarily trades small and mid cap momentum stocks, stock options, and ETF's. We recommend using TD thinkorswim for analysis but recommend other services/brokers for execution and news. How much is the Trade with Techs membership? How much money do I need to start trading stocks? Your total number of trades are restricted with anything under $25,000. If you don't have that much saved up, then $2,000 is a good starting point. Keep in mind that you shouldn't trade with money you're not willing to lose. Of course! We're in the business of making YOU money! Just scroll to the top of the page and click "Free Content" for some educational info. The chat room is open 24/7 and has screen sharing and audio capabilities. There are live alerts, fully explained with technical setups and entry/exit points. 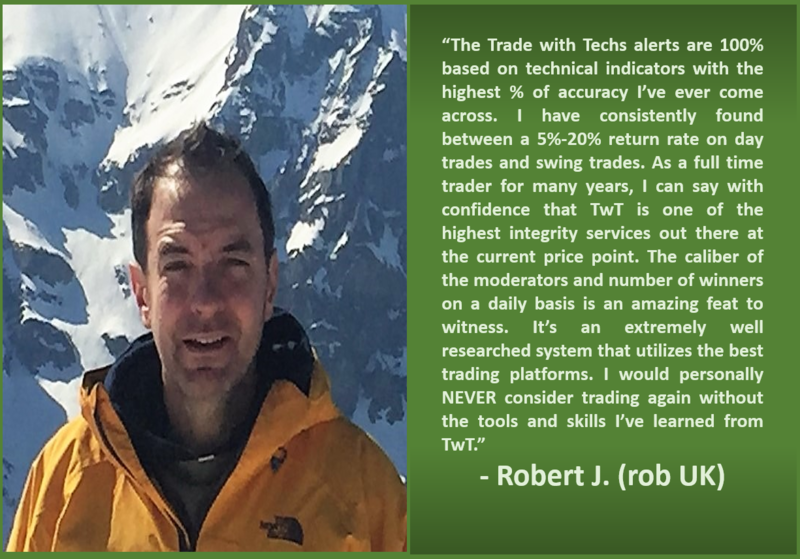 Experienced traders provide analysis throughout the entire trading day.